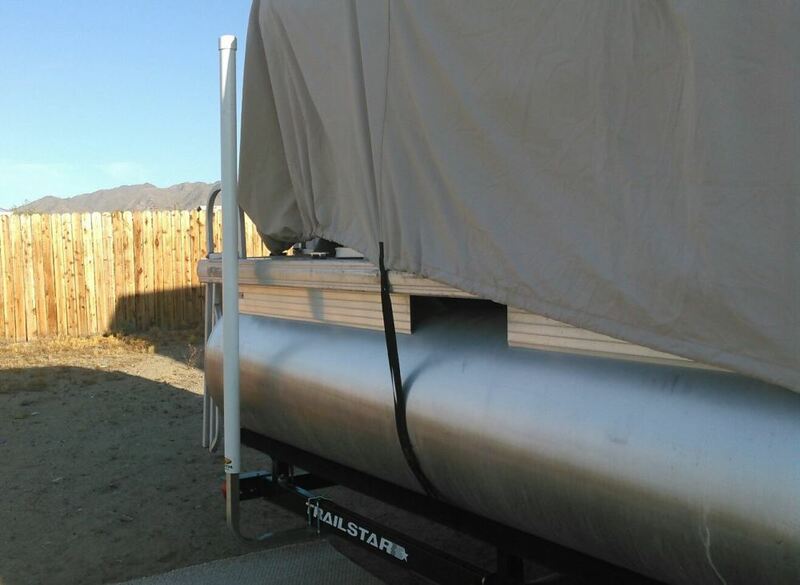 Guide-on posts make it easy to load your boat onto your trailer and back your trailer down the ramp. They attach with U-bolts to the rear of your trailer and extend out of the water, providing visual targets to center the boat between during loading. Call 800-298-8924 to order CE Smith boat trailer parts part number CE27636 or order online at etrailer.com. Free expert support on all CE Smith products. Guaranteed Lowest Price and Fastest Shipping for CE Smith Post-Style Guide-Ons for Boat Trailers - 75" Tall - U-Bolt Hardware - 1 Pair. 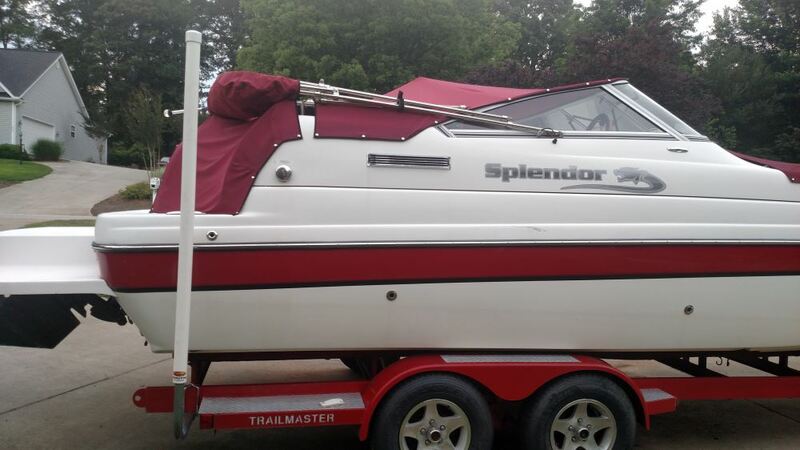 Boat Trailer Parts reviews from real customers. 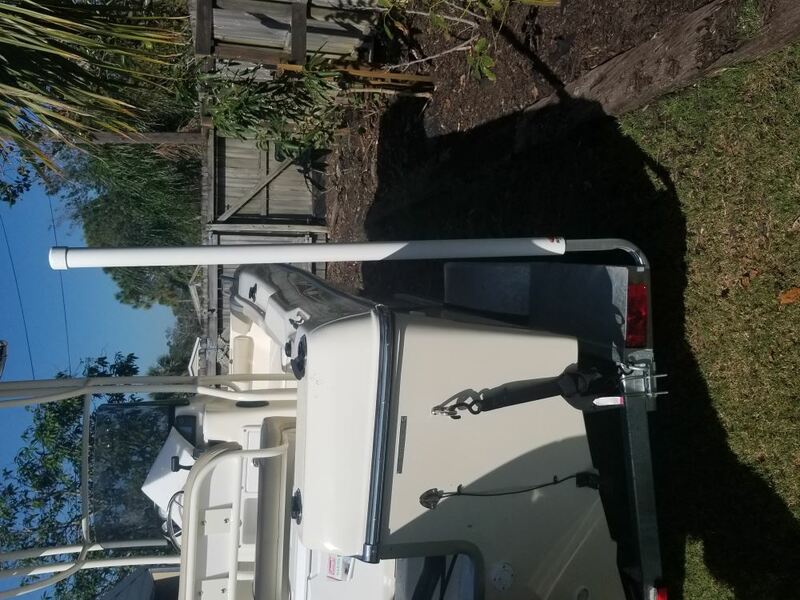 Guide-on posts make it easy to load your boat onto your trailer and back your trailer down the ramp. They attach with U-bolts to the rear of your trailer and extend out of the water, providing visual targets to center the boat between during loading. 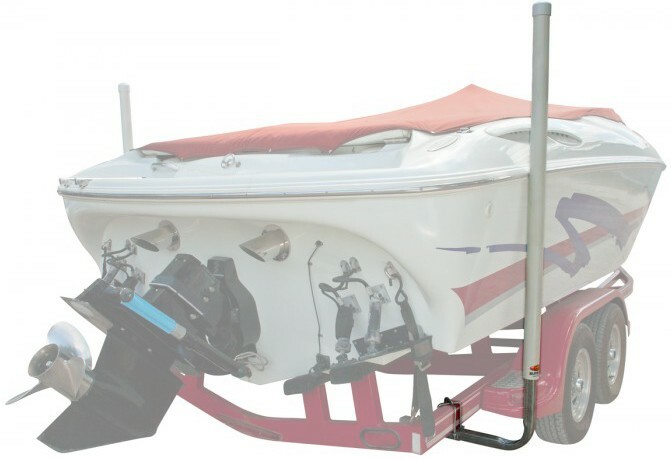 When your boat trailer has been backed down the ramp and is partially submerged, these 75-inch-tall guideposts that are mounted on the rear corners of the frame will stick out of the water, giving you two highly visible targets to guide your boat between for loading. 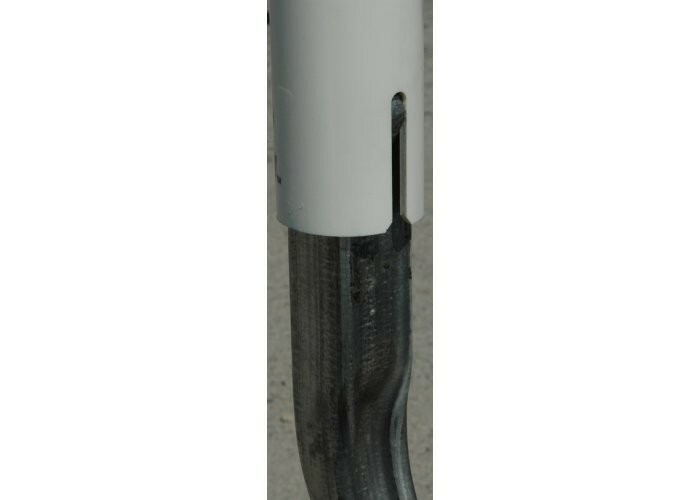 The PVC posts also provide a visual aid to help you back your boat trailer down the ramp when you're unloading and loading your boat. The posts are simple to install. 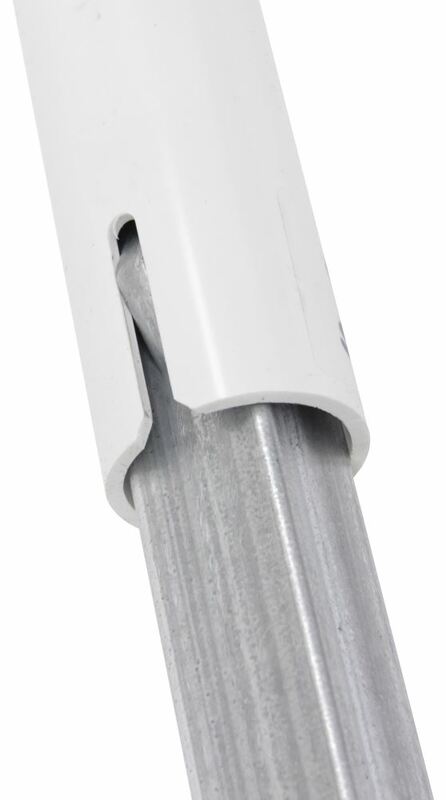 Slide the PVC posts over the galvanized steel support posts. 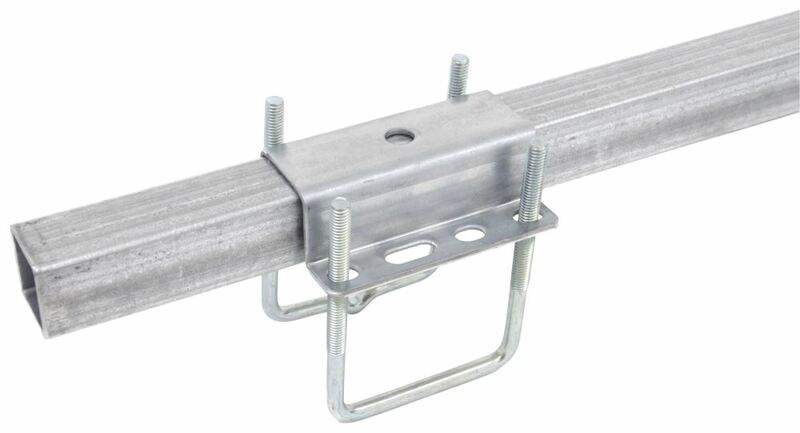 Then use the included U-bolt hardware to mount the posts on the top or below the trailer frame, as close to the rear corners as possible. 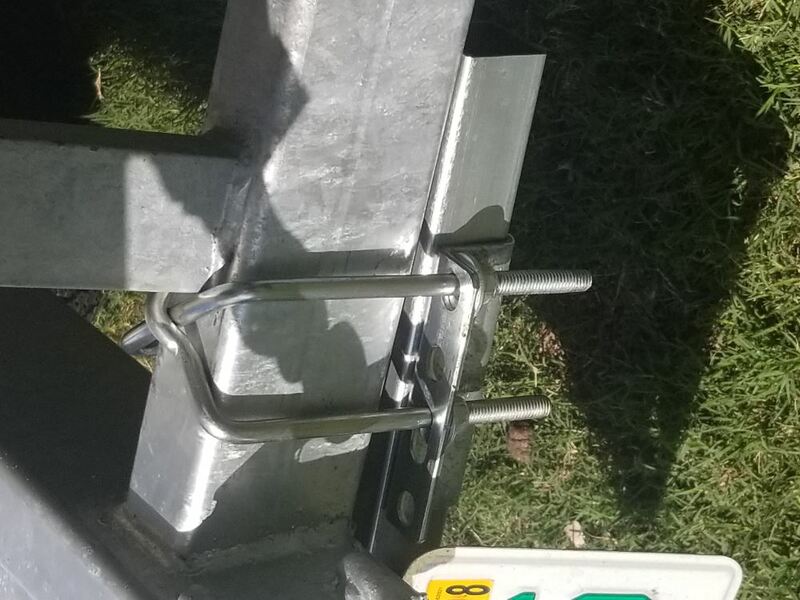 Adjust the posts so that the distance between each post and your boat is less than 1 inch. Pre-galvanized steel parts are stamped from a sheet of steel after it has already been galvanized. 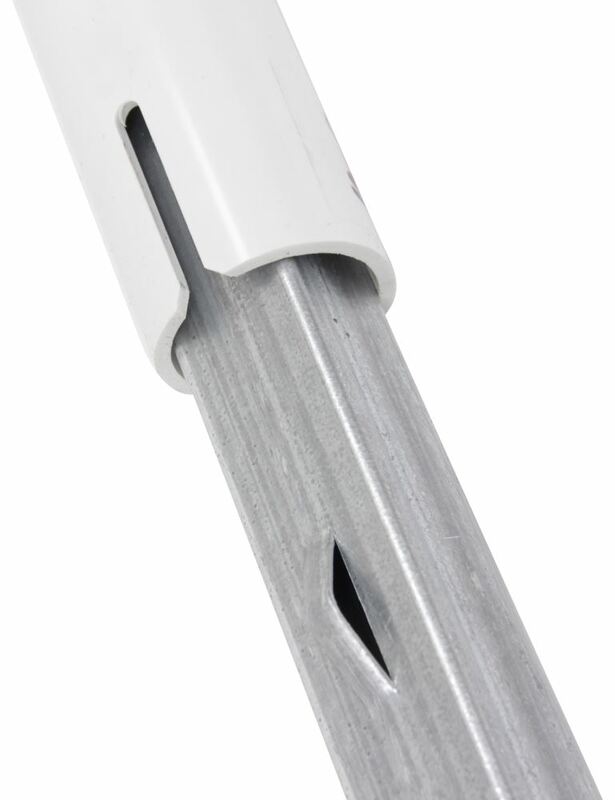 The edges of pre-galvanized parts often lose their zinc coating during the stamping process. Because of the thinness of the coating (less than 1 mm) and the fact that the edges remain exposed, pre-galvanized parts can begin to oxidize and rust quickly, so it's recommended that they be primed and painted. 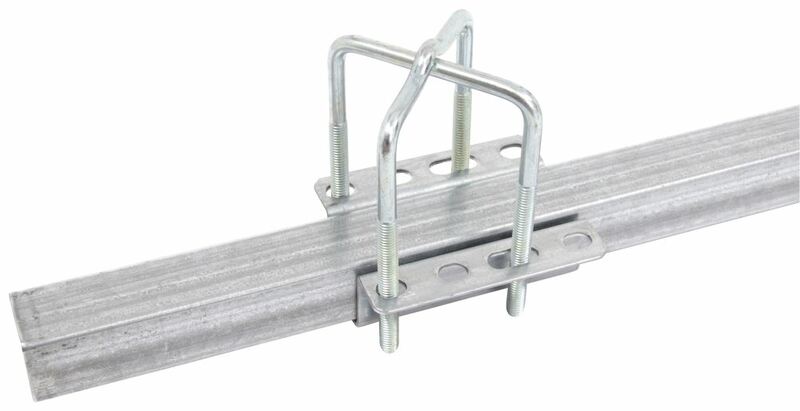 Bunk board mounts to your boat trailer's tongue and supports the bow of your johnboat or flat-bottom boat. Has weather-resistant carpeting and a galvanized steel mounting bracket that adjusts in height and fits trailer frames up to 3" wide. 27" Long Safety Chain with 7/16" Hook, 5,000 lbs. 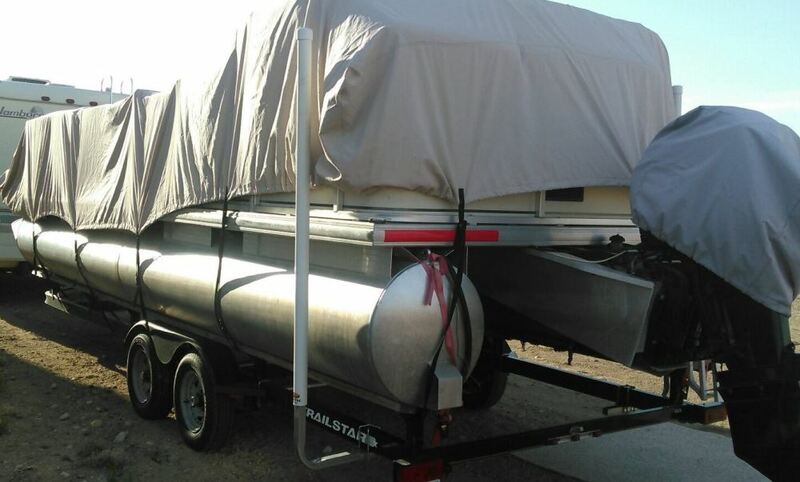 Order: RelevanceNewestRating - High to LowRating - Low to High Guide-on posts make it easy to load your boat onto your trailer and back your trailer down the ramp. They attach with U-bolts to the rear of your trailer and extend out of the water, providing visual targets to center the boat between during loading. Overall pleased but had one issue with one guide bar collapsing where it bends, after a reinforcement was added seems to be holding up. Needs to be thicker material in that area. No complaints. Product is working very well. This has worked out well. Lights and connections never touch the salt water. I did the same thing on the trailer for 25 center console. Still working fine after a year. Nothing has broken, bent, or come loose. I would definitely recommend this product to my friends. As always, eTrailer was great to deal with. Been a year with a dozen launch and retrievals will never have another boat on a trailer without them. Absolutely no problems with the hardware easy to adjust even after a year in and out of salt water and the amount of flex in the tubes is just right to keep the boat aligned on the trailer without impact. Excellent. The Guides have worked out great. Its one of the best upgrades i have made to my Boat trailer. One year later and they are still performing as they did on day one. No worries with these guides. Still happy with purchase however I did have one time that one of the sideshad worked loose. Not sure why as they were very tight when installed. Very happy with our guides. Helpful every time we launch and recover. No visible signs of wear. Its been over a year on trailer and still working great. Im happy with the service I got ever thing I ordered came on time and fit and is still working just fine the price was right if I need trailer parts again I would order from you .you have a nice day. 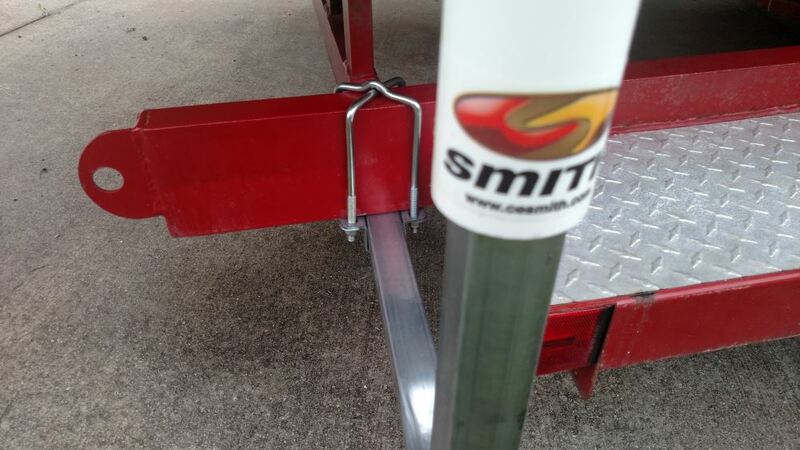 The CE Smith Post-Style Guide-Ons for Boat Trailers # CE27636 that you referenced has a height of 75 inches and sticks out up to 19 inches from the trailer frame it is attached to. 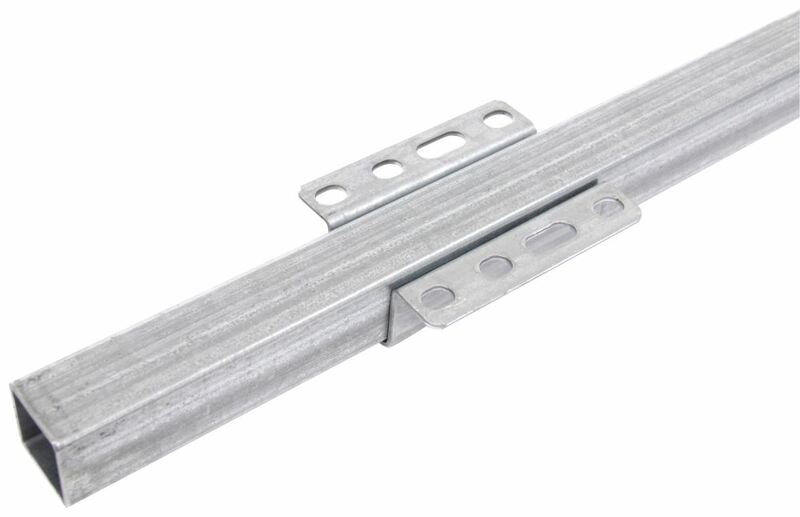 When installing guide-ons on your boat trailer, like part # CE27636, you want to make sure that they extend high enough that they are easily visible when you are loading your boat. If you feel comfortable loading your boat with the guide-ons being barely visible, then you will not need ones that are very tall. The CE Smith Post-Style Guide-Ons # CE27636 that I referenced are 75 inches tall. 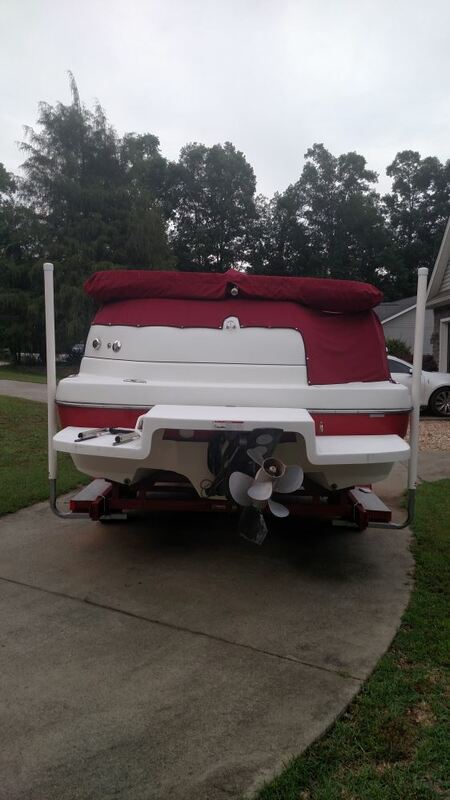 For your 28 foot Bayliner trailer, I recommend the CE Smith Bunk-Style Guide-Ons for Boat Trailers - 60" Long - 1 Pair # CE27600. These are 2x4 bunk boards, but you could use 2x6 if you prefer. We don't carry that size board, but we do carry the carpet like # CE11349. 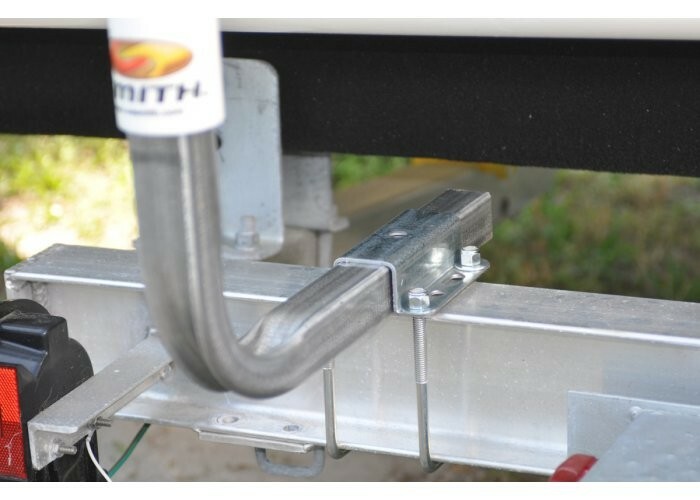 You may also be interested in the CE Smith Post-Style Guide-Ons for Boat Trailers - 75" Tall - U-Bolt Hardware - 1 Pair # CE27636 to assist as you guide the boat into place on your trailer. 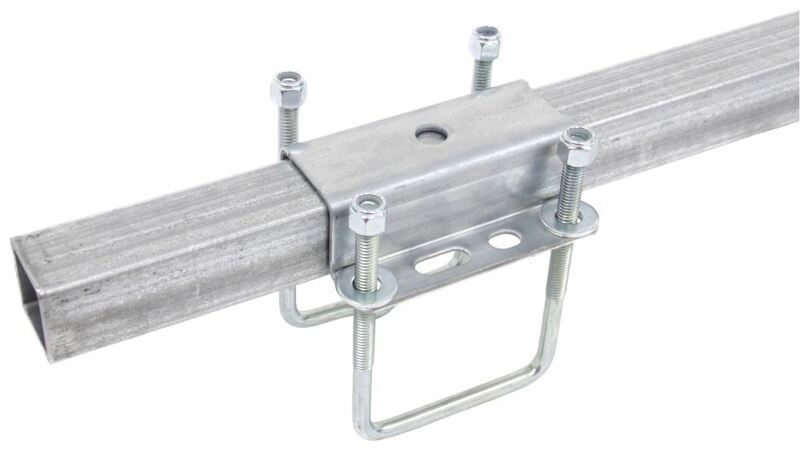 I have a solution for you, but the U-bolts included with the CE Smith Post-Style Guide-Ons for Boat Trailers # CE27636 are only good for trailer frames that are up to 5-1/2 inches. You would also need the CE Smith Extra Long U-Bolt Kit part # CE11416 as this will work on frames up to 6 inches so it would work well for you. How Long Is The Base Bar Of The CE Smith Post Guide-Ons 75 Inches Tall? 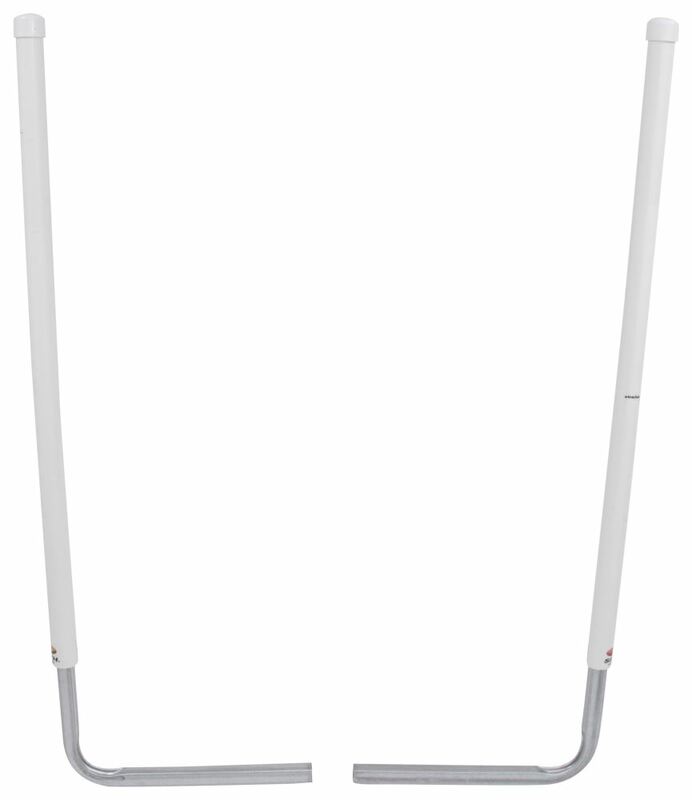 The CE Smith Post-Style Guide-Ons for Boat Trailers - 75" Tall # CE27636 has base bars that are 23 inches long to the outside of the bend. The bars adjusts out to 19" from trailer. I've attached a photo to help. The CE Smith Post-Style Guide-Ons for Boat Trailers - 75" Tall - U-Bolt Hardware - 1 Pair # CE27636 has steel that is 39 inches tall. 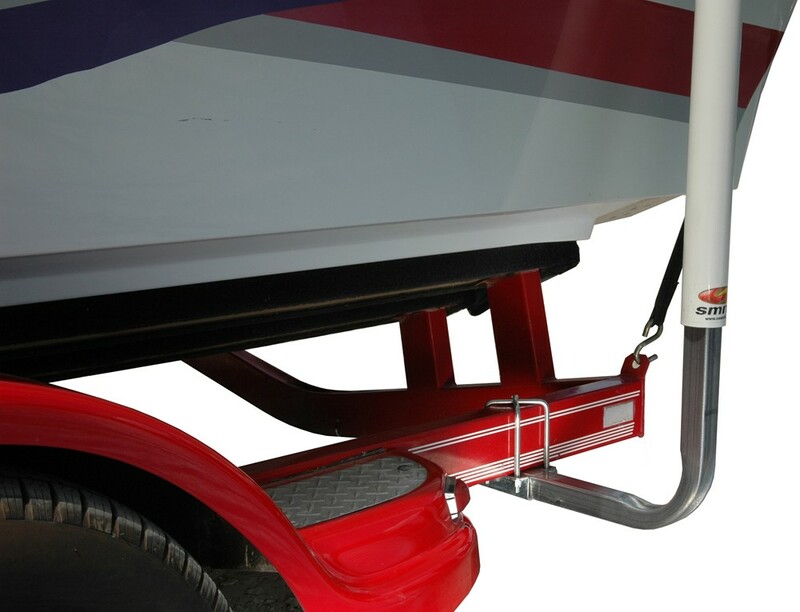 You can see this clearly in the Replacement Upright for CE Smith Bunk-Style Guide-Ons for Boat Trailers - Lanced - 39" # CE27605PG. With the I-beam construction of your Loadmaster trailer you can take a quick measurement to make sure the boat guides we offer will fit. 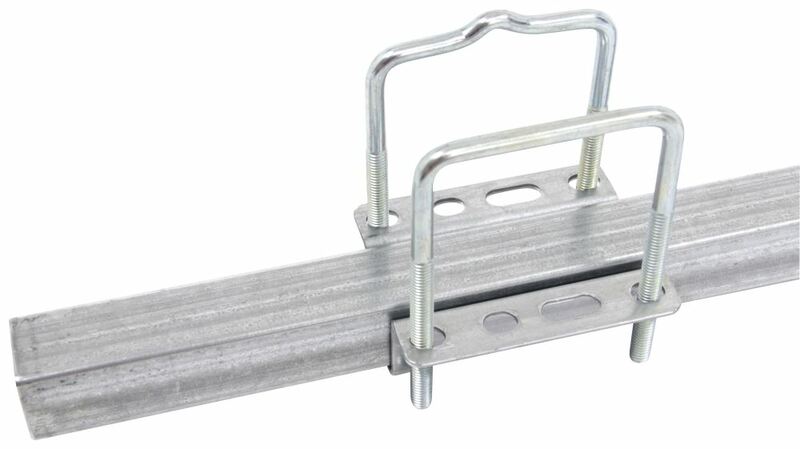 The CE Smith Post-Style Guide-Ons, part # CE27636 are designed for boat trailer frames that measure up to 3-inches x 5-1/4 inches. The post height is 75 inches. For a 50-inch tall boat guide I recommend the Fulton Boat Guide, part # FGB1500100. This will fit trailer frames up to 3-inches x 5-inches. The metal uprights in the CE Smith Guide-on set # CE27636 are 39 inches tall by 23 inches long. So the shorter portion that you mentioned would be 23 inches. The metal uprights in the CE Smith Guide-on set # CE27636 are 39 inches tall. The PVC pipe is 62-1/2 inches tall. 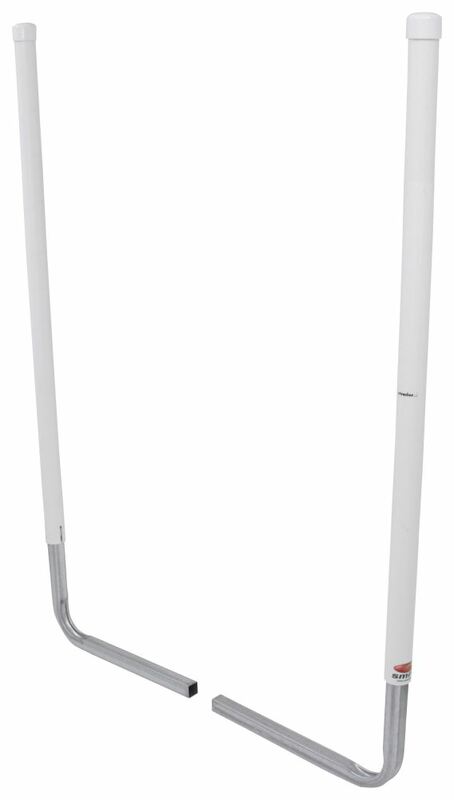 There is about 27 inches of the metal upright inside of the PVC pipe when it is assembled. The CE Smith Post-Style Guide-Ons for Boat Trailers - 75" Tall - U-Bolt Hardware - 1 Pair # CE27636 come with the mounting hardware to install. The U-bolts are 6 inches long and will fit trailer frames up to 3 inches wide and 5-1/4 inches tall. The bolt diameter is 3/8 inch. The replacement hardware is # CE11416. The upright steel portion of the guideposts on the CE Smith Post-Style Guide-Ons for Boat Trailers # CE27636 is only around 39 inches. The remaining height consists of just the outer layer PVC pipe that slides over the steel posts. With this in mind, you should be able to easily cut down the height on these guide-ons and just replace the top cap once the desired height is reached. Just keep in mind that doing this will void the warranty of the product. 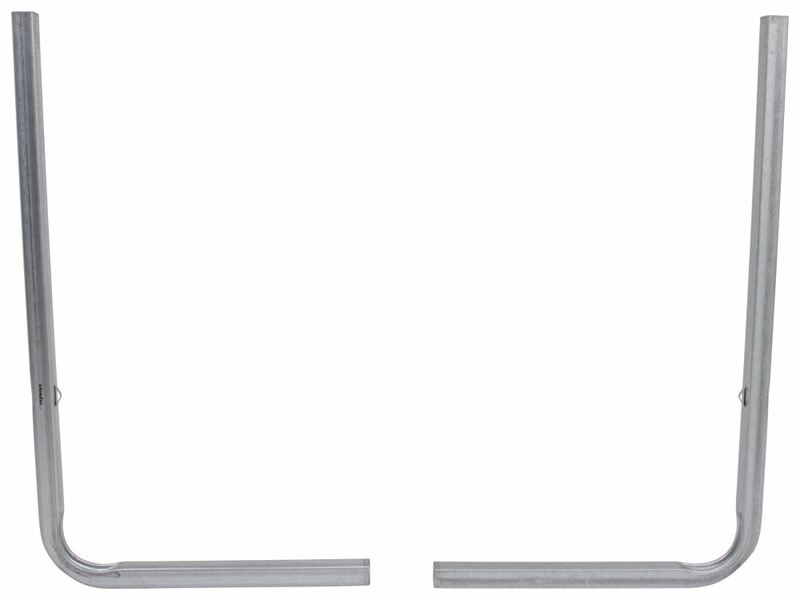 The metal tubes inside the CE Smith Post-Style Guide-Ons for Boat Trailers - 75" Tall # CE27636 are the uprights. These uprights, which are available at part # CE27605PG, measure 39" tall.